“Bahrain: Grand Prix should not ‘sportswash’ country’s human rights record” says Amnesty International. Ahead of the Bahrain Formula One Grand Prix this weekend, Amnesty International has highlighted the grim human rights record of the country. Samah Hadid, Amnesty International’s Middle East Director of Campaigns, said: “Beneath the glamour of the F1, there is a far more sinister side to Bahrain, revealing the country as a deeply repressive state where anyone critical of the government can be jailed merely for posting a tweet. “Prominent human rights defenders are under relentless attack in the country. Since mid-2016, the Bahraini authorities have embarked on a systematic campaign to eliminate organised political opposition in the country. The main targets of this far-reaching repression have been human rights defenders, journalists, political activists, Shi’a clerics and phttps://www.amnesty.org.uk/press-releases/bahrain-verdict-against-sheikh-salman-another-nail-coffin-free-speecheaceful protesters…Earlier this month, Ebrahim Sharif was sentenced to six months in prison, suspended for three years, for a tweet criticising Sudanese President Omar al-Bashir. …. Bahrain has used draconian legislation such as Law No. 58 of 2006 on the Protection of Society from Terrorist Acts, the Law on Political Associations, and repressive provisions of the Penal Code including Articles 134, 160, 165, 168, 214, 215, 216 and 310, to target protesters and other critics of the government. Since 2011, more than 800 people have been stripped of their nationalities. Of those, 115 lost their citizenship following a ludicrous mass trial that relied on confessions extracted under torture. For more information on the human rights situation, see the following blog – Bahrain: What lies behind the scenes of the Formula One Grand Prix. First of all I wish my readers a happy 2019. Unfortunately this year augurs badly for two human rights defenders who have figured frequently in this blog: Ahmed Mansoor [https://humanrightsdefenders.blog/tag/ahmed-mansoor/] and Nabeel Rajab [https://humanrightsdefenders.blog/2015/01/20/video-statement-of-troublemaker-nabeel-rajab-who-is-on-trial-today/]. 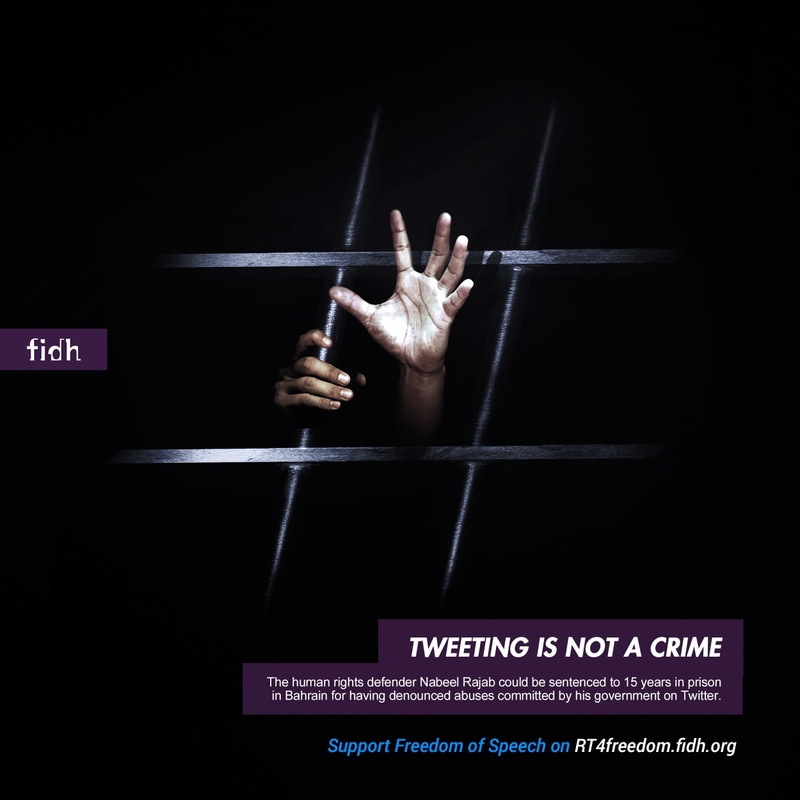 Courts in the United Arab Emirates and Bahrain on Monday upheld the convictions of these two prominent human rights defenders serving lengthy prison terms for expressing anti-government dissent on social media. They have no right to further appeal. On 4 January 2019 there UN joined the critics of these sentences. “We are fully aware of the difficulties that Mr Titiev and his colleagues face. This prize is a recognition of the work he and Memorial are doing,” the PACE President said. “It is also a message to all those who work in this region to affirm the principles of the rule of law and human rights. Keep up the good work, you can count on our support,“ Liliane Maury Pasquier added. The two other shortlisted nominees – Rosa María Payá, a young Cuban democracy and human rights activist [see: https://humanrightsdefenders.blog/2016/06/08/rosa-maria-paya-carries-on-the-work-of-her-father-in-cuba/], and Nabeel Rajab, a prominent democracy and human rights defender in Bahrain [https://humanrightsdefenders.blog/tag/nabeel-rajab/ ] – also received diplomas during the ceremony. 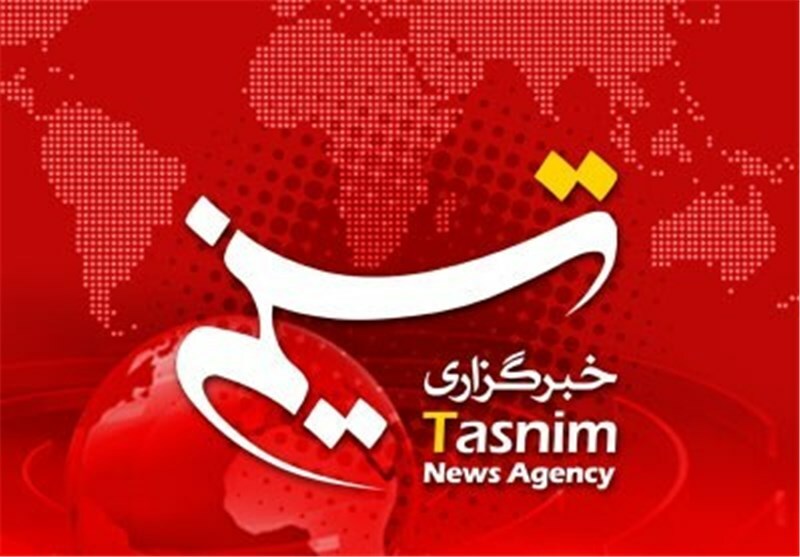 The explanation is to be found in ‘about us’, where the agency says: Defending the Islamic Revolution against negative media propaganda campaign and providing our readers with realities on the ground about Iran and Islam, specially current wave of the Islamic Awakening in the region are top on our agenda in Tasnim News Agency. The Islamic nature of the developments in the region and similarities between the Islamic Awakening Movement, which swept the Middle East and North Africa since 2011, and Iran’s 1979 Islamic Revolution have unveiled Islamic Revolution’s inspiring role in the region. The development came despite efforts made by opponents and enemies of Iran to block the country’s growing influence in the region and in the world……Tasnim News Agency will do its best to bring to light the true aspects of events and developments in Iran and in the world, and will also cover the latest developments regarding the Islamic Awakening Movement. 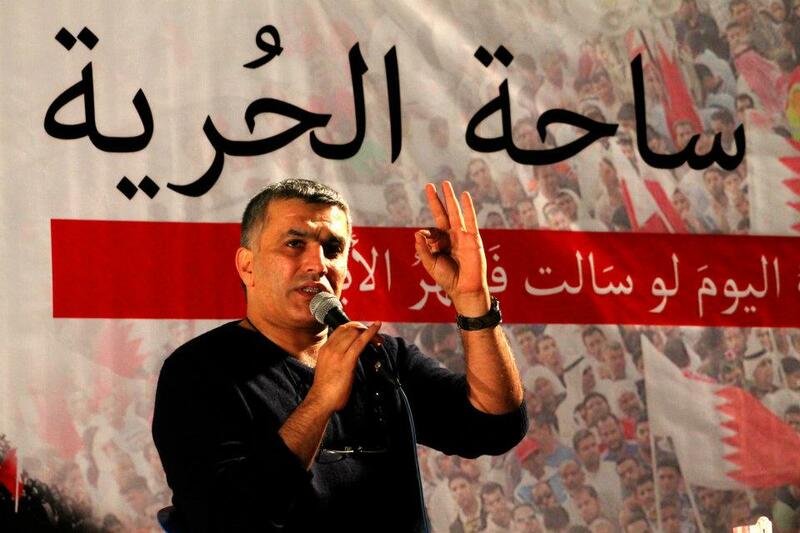 That Nabeel Rajab is Shia may well be relevant.